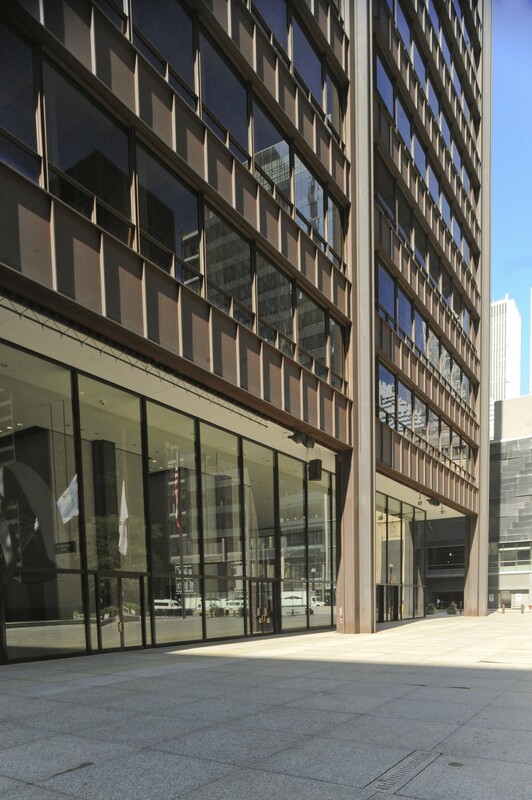 Mid-Century Modern buildings in the International Style are sometimes referred to as “skin and bones.” And indeed, the first thing many people notice about the Richard J. Daley Center is its distinctive skin. 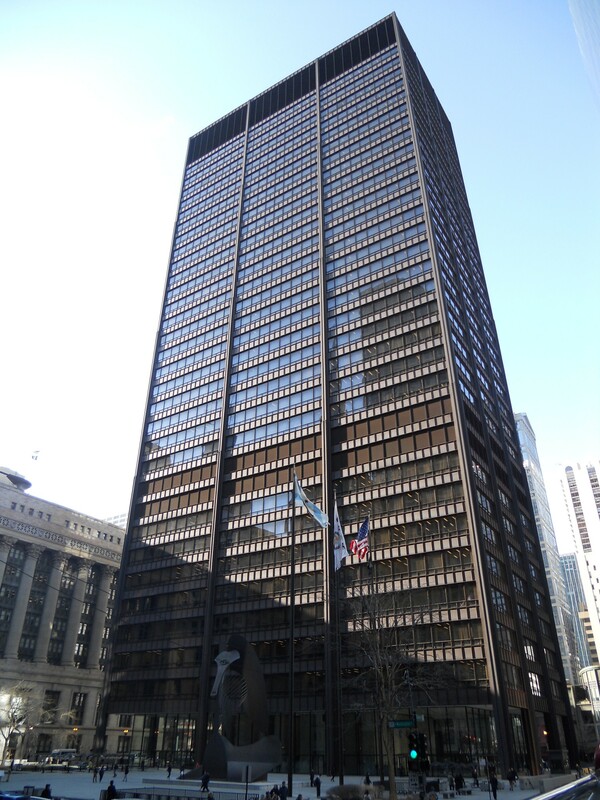 Completed in 1965, it was one of the first buildings to be covered in an unpainted steel called Cor-Ten. Cor-Ten develops a natural rust that becomes a permanent, protective, low-maintenance coating that never needs painting. 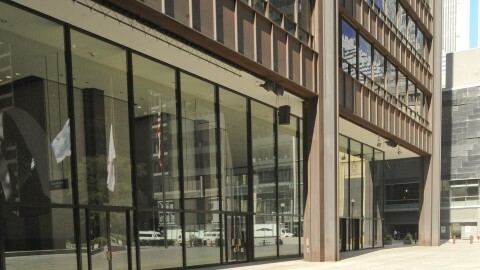 The building’s bronze-tinted glass complements the russet steel panels. 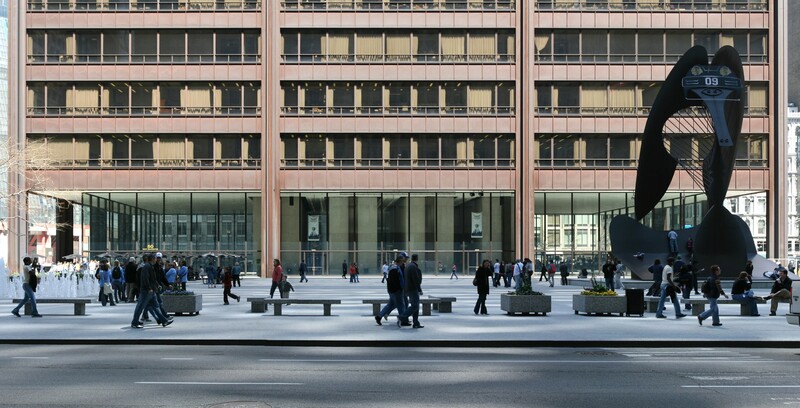 But the Daley Center’s bones are perhaps more impressive than its skin. Only 16 steel columns support the building. Twelve of the columns lie on the perimeter; the other four surround the elevator core. Thus, all the interior spaces are column-free. The Warren trusses supporting each floor are extra thick, to cover the massive 87-foot by 48-foot spans between the columns. The façade clearly articulates the structural components. 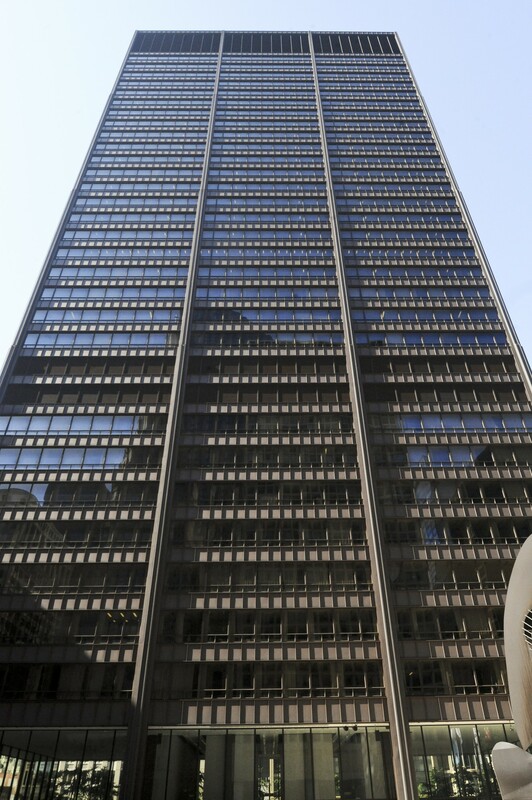 Despite having only 31 floors, Daley Center reaches the height of a typical 50- to 60-story building: 648 feet, or nearly 200 meters. 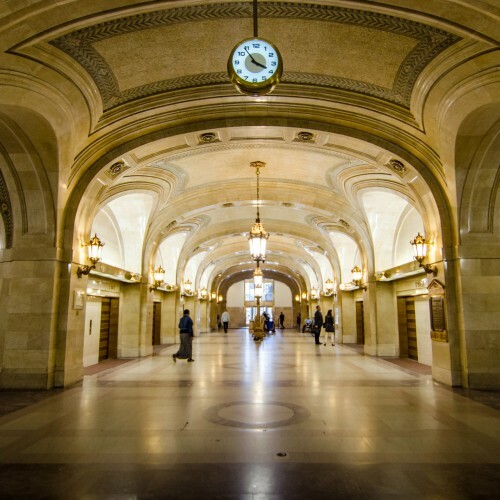 Every floor has high ceilings, and some two-story courtrooms stretch to 26 feet high. Architect Jacques Brownson of C.F. 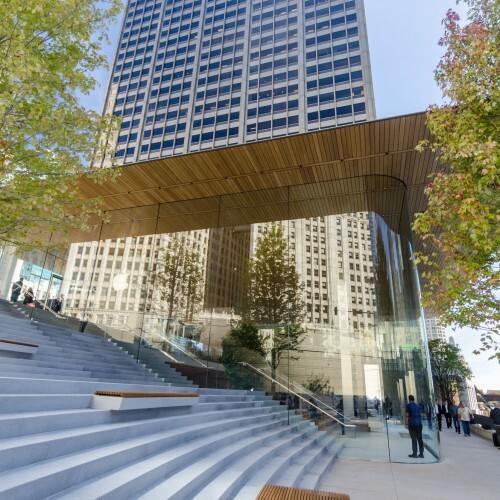 Murphy Associates even designed the columns to get thinner as they rose, reflecting the lighter loads they carry as they reach the upper floors. 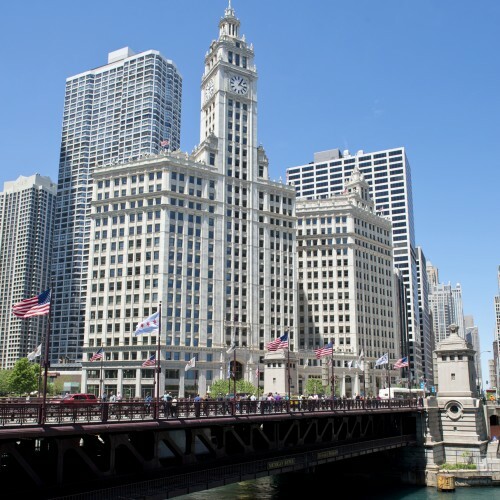 Originally called the Chicago Civic Center, the complex was renamed for Chicago mayor Richard J. Daley shortly after his death in 1976. 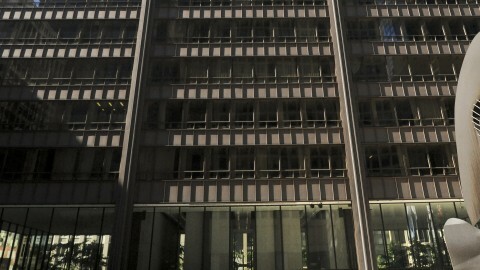 When the Blues Brothers was filmed in 1979, the scene in which the Bluesmobile drove across Daley Plaza and smashed through the building’s windows cost $3.5 million to make. 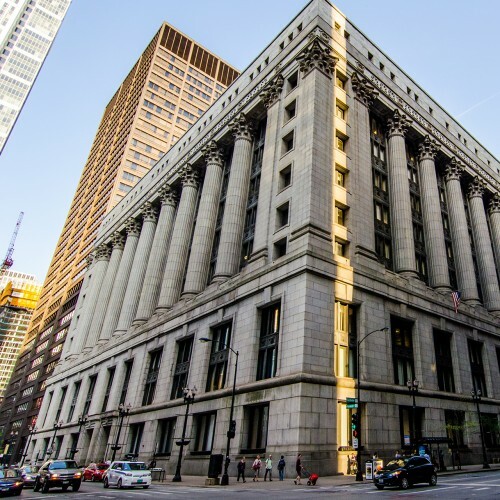 Despite being more than 50 years old, the Daley Center has achieved LEED Silver status for its operations and maintenance, having achieved significant reductions in water, electricity and gas consumption. The Picasso cost more than $350,000 to construct, paid for by charitable foundations. Pablo Picasso accepted no fee. 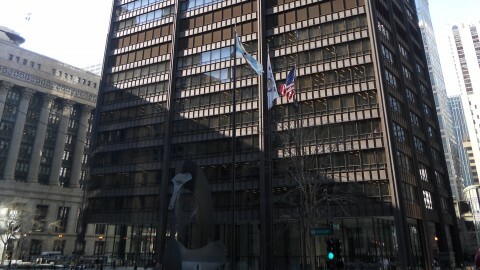 Daley Center is sited on the northern portion of an entire city block. 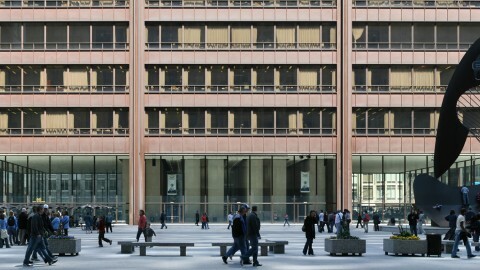 Daley Plaza occupies the rest of the block, providing a public space for diverse events throughout the year, such as concerts, rallies, farmers’ markets in the summer and Christkindlmarket during the holiday season. 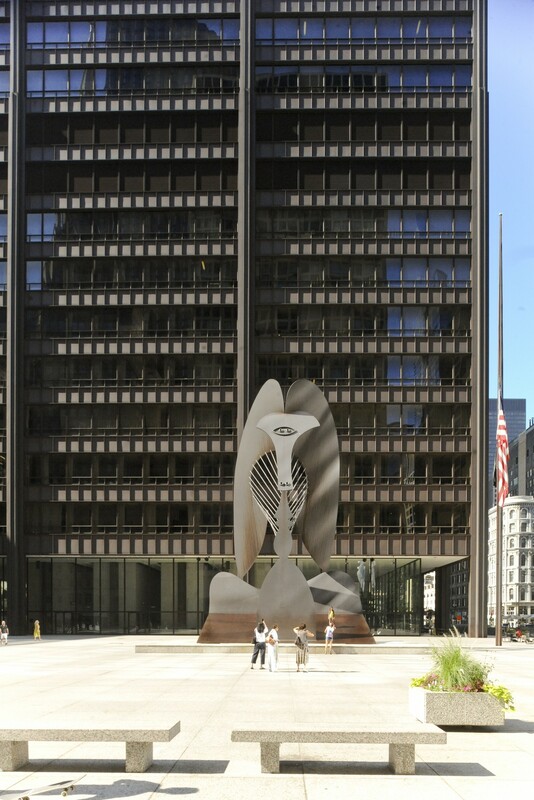 The Blues Brothers knew that Daley Plaza is “where they got that Picasso.” The 5-story tall untitled sculpture has been an enigmatic presence on the plaza since 1967. While some may swear it resembles Pablo Picasso’s dog -- an Afghan hound – fans of Cubism can find a woman’s head when viewing the sculpture at particular angles. 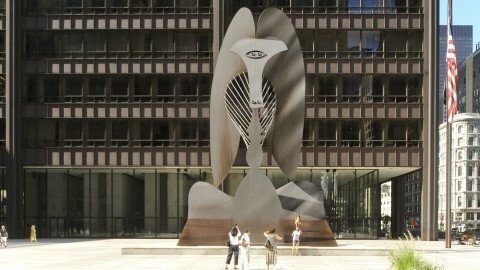 The Picasso pioneered nontraditional public art in downtown Chicago. It has since been joined downtown by works from Marc Chagall, Joan Miró, Alexander Calder, Claes Oldenburg, Louise Nevelson and Jean Dubuffet.